The price surge in the local rental market may have peaked in the summer and fall of 2016 and is now in the very beginning stages of a slowdown, according to a report released Monday. After four years of trudging through brutal rent increases, the Seattle area may finally be ready to see some relief on the horizon. There are strong signs that the price surge in the local rental market peaked in the summer and fall of 2016 and is now in the very beginning stages of a slowdown, according to a report released Monday by Apartment Insights Washington, a leading local rental market surveyor. Rents have even begun to dip compared to a few months ago, with the hottest Seattle and Eastside markets seeing the biggest drop. Compared to this time last year, rents are still up 7.9 percent across King and Snohomish counties, but that’s down from the consistent double-digit annual hikes seen throughout the past few years. And looking deeper, there are new, encouraging signs that 2017 will be brighter for renters. The vacancy rate — the biggest predictor for future rents — soared in the fourth quarter at its fastest pace since the beginning of the housing collapse in 2008, the last time local rents dropped significantly. The percentage of empty apartments in King and Snohomish counties rose twice as fast as normal for this time of year, as thousands of new units opened. 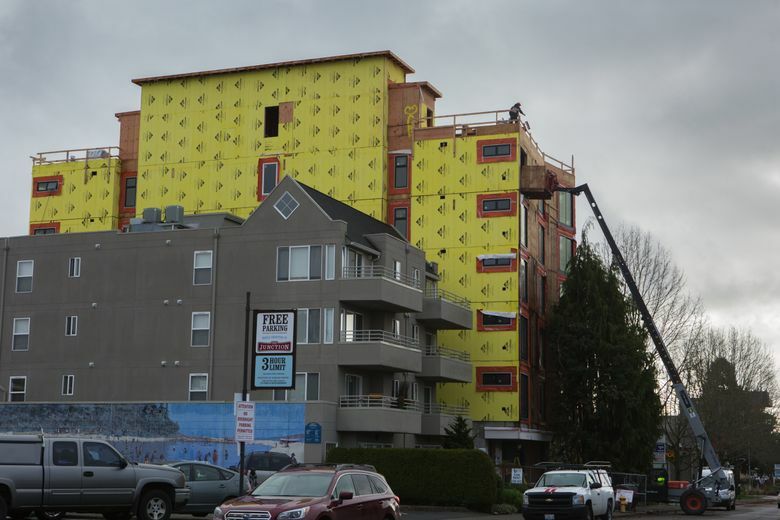 King County is approaching a tipping point where the rate of empty apartments will rise high enough that landlords will have to scale back rent increases to more modest amounts, Cain said. Some places like downtown Seattle and South Lake Union have already reached that point. Another big sign of an apartment market turning is when landlords start offering perks like free rent for a month or no deposit to move in, often a precursor to rent cuts. The survey found 20 percent of landlords of large buildings in King and Snohomish counties are offering incentives to renters, up from 12 percent earlier this year. What’s more, the average rent actually decreased $12 a month from the third to fourth quarter across both counties, the first quarterly rent drop in two years. The hottest markets — typically the first to be impacted during a slowdown — are seeing the biggest rent decreases: Compared to a quarter ago, rents are down 3.5 percent in the University District, 3.1 percent in Queen Anne/Magnolia and 2.8 percent in downtown Seattle. And on the Eastside, the pricey West Bellevue area saw rents dip 3.8 percent, while rents are down 3.5 percent in Kirkland and 3 percent in Redmond. Cain said the changes far surpassed what is normal for this time of year, when the rental market usually slows. Still, the rosier outlook doesn’t mean rents are suddenly about to start plummeting. Bucking the trend, some outer parts of King County, like Des Moines, Tukwila and Federal Way, and some areas of Snohomish County still saw rents rise slightly compared to a quarter ago. Rents in Seattle have increased 44 percent in the past four years, according to Zillow. Cain’s data shows the average apartment across the two counties now costs $1,580 a month, up from $1,125 in the middle of 2012. Some areas cost much more, led by downtown Seattle ($2,270 a month on average), downtown Bellevue ($2,210) and South Lake Union ($2,070). The cheapest average rents are in SeaTac ($1,170), Tukwila ($1,190), and Des Moines ($1,200).